Alexander W. Winkler et al. J. Pratt et al, “Capture point: A step toward humanoid push recovery,” in Humanoids, 2006. 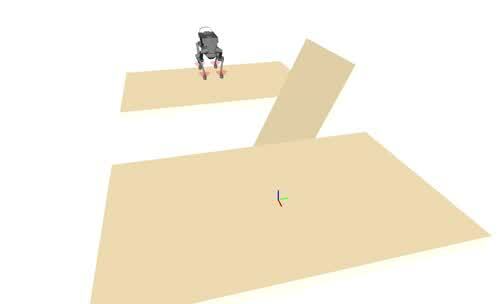 Youtube: "animal gaits for animators"
S. Kajita et al, “Biped walking pattern generation by using preview control of zero-moment point,” IEEE International Conference on Robotics and Automation, 2003. Ordering of contact points necessary. "If possible, Avoid The Extremes"
 F. Aghili, “A unified approach for inverse and direct dynamics of constrained multibody systems based on linear projection operator: Applications to control and simulation,” IEEE T-RO, 2005.